Tierramérica is a specialized information service on Environment and Development, produced by the international news agency, Inter Press Service (IPS). It is sponsored by the United Nations Environment Program (UNEP), the United Nations Development Program (UNDP) and The World Bank (WB). The Tierramérica Administrative Board includes the UNEP, UNDP, WB and IPS. The history of Tierramérica began in 1995. In its first phase the project produced a bi-monthly supplement distributed by 12 newspapers in 11 countries, achieving a circulation of one million. With its attractive design, Tierramérica received the award for excellence of The Society of Newspaper Design in 1996. 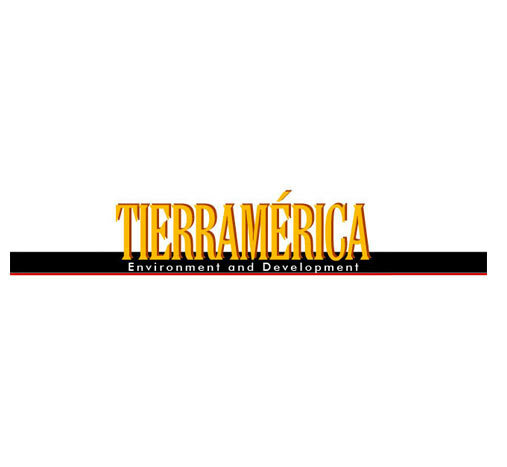 Since 2000, the weekly print edition of Tierramérica is published in newspapers and magazines in Belize, Brazil, Bolivia, Costa Rica, Ecuador, Honduras, Mexico, United States, Uruguay and Venezuela.Today, the general and technology headquarters located in Uruguay, while editorial coordination is based in Mexico, with Internet, radio and Portuguese edition based in Chile, Venezuela and Brazil, respectively. The multimedia presence of Tierramérica includes a weekly page published in a network of 20 newspapers and selected news broadcast by 400 radio stations in 10 countries throughout Latin America. Tierramérica news, reports and interviews are published weekly on its website in Spanish, English and Portuguese. Tierramérica serves as a space for debate, drawing a wide range of social actors from Latin America and the world. Its editorial board includes Carlos Fuentes, José Roberto Marinho, Rigoberta Menchú, Maurice Strong, Elena Poniatowska and César Gaviria, among other personalities.